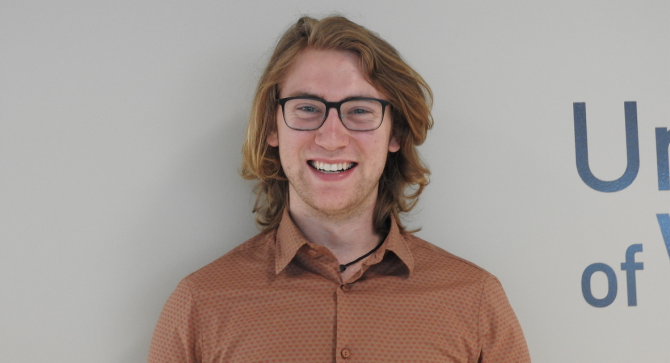 I’m an Environmental Studies and Entrepreneurship student at the University of Windsor, and the Co-Chair of the Windsor-Essex Food Policy Council. As a young person living in the world today, the greatest threat on the horizon is that of global climate change. For years, I’ve been researching actions I can take to reduce my carbon footprint. Both my parents are entrepreneurs, so I’ve always had a passion for business and the good that it can do. My goal is to combine my love of the environment with my love of business, and start a company that would mitigate climate change while helping people. With GreenerBins, I think I’ve accomplished that. GreenerBins Composting Company is a curb-side organic waste pickup service and social enterprise. We provide pickup for schools, homes, apartment buildings, grocery stores, restaurants, and more. Next, we compost the food waste into high-quality soil amendment. Then we work with several community organizations to distribute the compost to a network of local farms, urban gardens and school gardens so that it can be used to grow food again. This way, instead of food waste going into the landfill, it is used to grow food for those who need it. 3. Why do you feel the EPICentre Founders program will be beneficial to growing your company? The resources and mentorship provided by the Founders program will be extremely helpful in navigating all the tedious logistics of starting my business. From permits to accounting to financial planning, there are so many little things to know that are paramount to the business’s success. Also, the networking opportunities and connections sure to be made are priceless in getting the word out about my enterprise and what I am trying to do. Without this program, I would be on my own and in the dark about a lot of key actions to take. I am so thankful to be here. 4. Why do you feel it’s important to have a company like yours in our community? Windsor’s lack of food waste collection means that 30% of our garbage, equal to $2500 per household per year, ends up in the landfill. Once it’s there, it breaks down and produces methane, which is a greenhouse gas 21x more powerful than carbon dioxide. When this gas enters the atmosphere it enormously contributes to climate change. Simultaneously, thousands of people in Windsor have limited access to fresh, healthy, affordable food. By collecting compost and using it in gardens to grow free, fresh food, we are solving both issues at once. Our service will benefit the global environment by reducing methane emissions, and benefit the Windsor-Essex community by providing food for those who need it. 5. Where do you hope to see yourself and your company by the end of this program? By the end of this program, the company will have a website, a location, and all necessary permits, insurance, & intellectual property rights. I will be picking up compost for a growing number of clients throughout the program, we might have an employee or two, and the company will be well on its way to officially launching in August-September.